Mike: Do you want to start giving the audience an introduction to what you’re doing and then what’s been happening with you lately? David: Sure. I’m David Katz, COO and founder of the Plastic Bank. We are an ecosystem that reveals value in waste. One of the ways that we do that is creating a store chain for the ultra-poor, where everything is available to be purchased using plastic garbage. We’re most proud to offer school tuition and medical insurance [00:03:00] and cell phone minutes and WIFI and everything else the world needs and can’t afford. We continue to grow that and that market approach is very important. It’s one way that we create an ecosystem. Some of the things that are up and coming in the store are fuel, with a global energy partner, fortified milk powder, critically important for the poor. One of our new relationships is with a multi-national pharmaceutical company that wants to see this in Africa and be able to provide an opportunity [00:03:30] where we can create small pharmacies using the plastic bag model, where the ultra-poor now have access to life saving pharmaceuticals using plastic garbage as cash, as well. Having us attached to clinics and other things where poor around the world can just collect enough material to get the life saving medicines and health that they need. We’re even more inspired because in our model it’s about creating that community, that sense of validation and value in the individual. We love the idea that [00:04:00] even a family in critical need, a family, an extended family, a village, could collect enough material to pay for life saving access for a villager or for a family member or other things. Considering that poverty often is not a lack of material wealth, it’s a lack of community and a lack of hope. Within this model, it provides all of that. So many amazing things are happening. Euvie: Yeah, I think most people don’t realize that plastic waste actually has value. David: I think that the first thing we need to do is [00:04:30] remove the word waste, I think that that is one of the exacerbating concerns with where we’re at. Everything has value. Waste is something with no value. That petroleum-based product is a resource. Even on the commodity market it’s still worth things. We continue to express – I use a parable acres of diamonds, I change it a little bit it’s an ancient Persian parable that expresses a goat herder that had a small plot of land and his goats. 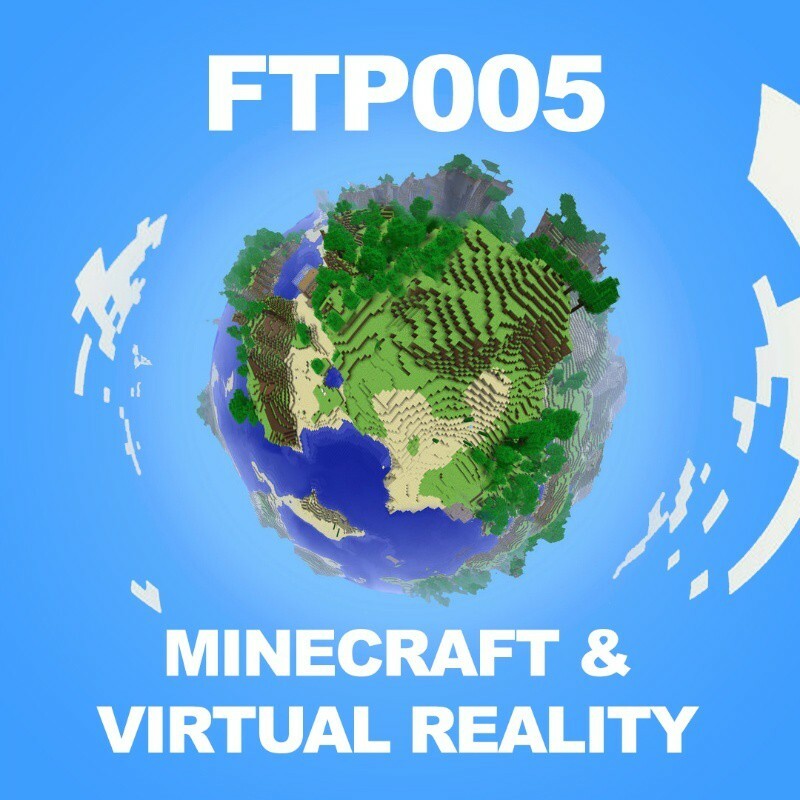 [00:05:00] He’d heard in the distance that people were becoming wealthy by trying to find diamonds and then diamonds became something rare and important. He sold his farm and his goats and went to travel to find this wealth and died a pauper but the man he sold his farm to, under his feet were acres of diamonds. It plays the same a little bit with us, that if there is no bank, no store, no way to use those diamonds, they would stay on the ground as rocks. [00:05:30] Our sheer presence in communities creates an opportunity for that materials value to be realized. That’s really what we do and that’s just one way. We’ve got a great chain of stores but it’s used as an example with that pharmaceutical organization, we’re also a plugin. Anyone with a simple scale and a smart phone can accept social plastic by weight as a form of payment. That’s a very powerful expression. 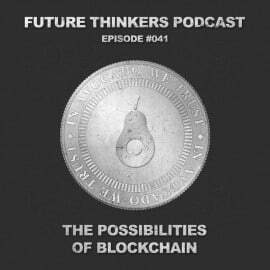 Inside of that, as we’ve continued to build our beautiful global partnership our beautiful global partnership with IBM is this [00:06:00] [inaudible [0:06:00] fabric blockchain banking application for the poor. It allows for the safe authentic transfer of value globally. Even one of our collectors, like [inaudible [0:06:10] can deposit her recycling at a centre in downtown [inaudible [0:06:14] and her mother could withdraw cooking fuel or cash across the city. Or, someone in Germany would be able to deposit the value from the recycling there and a family could withdraw building bricks or cell phone minutes in the slums of Manila. It’s a way to authentically [00:06:30] transfer value globally. When we see it as value and we even provide an opportunity for it to be saved and banked and used, that’s where we really reveal the value of the material. Euvie: It’s interesting that you’re tackling several different problems with this, because plastic population obviously is a huge, huge growing global problem and there aren’t really very many viable solutions for it, like you said. That plastic is just seen as waste, it’s the end of the chain, there’s nothing done with it after [00:07:00] it’s in the ocean. At this point, it could be maybe more profitable for a fisherman to go and collect plastic than to collect wish. David: Yes, that is the truth and that is something that we’re creating in a small island archipelago in Indonesia currently, because the fishermen have overfished the reef so much they’re becoming more destitute every day. The reef will never recover because they’re trying to catch the last few fish and certainly being able to create an alternative income source that allows them to also use their boats to transport that material [00:07:30] becomes profoundly important for the entire world. There are 8.3 trillion kilos of plastic on the earth, all the plastic we’ve ever produced as humans is mostly still here as waste. 8.3 trillion kilos. The material, as we sell it to our customers, is roughly a dollar a kilo. Let’s say take 50 cents per kilo, we’re potentially unleashing a four trillion-dollar value for the earth. That’s only if we realize that value warrants, plastic being almost [00:08:00] infinitely recyclable with additive, even without additive recyclable eight times almost. What if we use that material and continue to spend that with the marginal propensity to consume where that money is spent again and again and again in society. When we reveal that market potential, that monetary system, how many trillions of dollars could we unleash to the planet. I would argue that we’ve inadvertently, the positive value, the very resource at the fingertips of society [00:08:30] to change all of it, to change humanity. And becoming unifying in a stewardship of each other and the planet, that transcends borders, languages, religions, all philosophies, bringing everyone together around the one ocean that we have. Mike: What’s unique about the time and the state of technology that we have now that allows for this that was just simply impossible a number of years ago? David: Advancements in the technology include the ability to [00:09:00] return plastic to food grade. Food grade material is a small percentage of where plastic is used but relevant in single-use and other things. Food grade is important and the technology exists to be able to transfer that material, making it recyclable again and using it back in the packaging, that’s important. An advancement in a process called [inaudible [0:09:23] which, using pressure and heat, returns plastic back into a fuel, in essence. There’s even [00:09:30] advancements in [inaudible [0:09:31] that will return it back into virgin plastic. You can throw in all material types, all mixed material with organics, with everything, and with the process of pressure and heat, will return it back to a [inaudible [0:09:42] which allows it then to become a virgin plastic again. It really returns it to a virgin state. The technology on the planet exists today to solve the problems that we’re encountering, absolutely. The challenges where we hear in society in serving the base of the pyramid, this last mile [00:10:00] distribution, this is a reverse challenge, it’s last mile collection. That’s what we’re becoming globally renowned for – last mile collection of the material. It doesn’t matter how many processing facilities, paralysis facilities, if no one’s out collecting the material, it’s never going to work. That’s where we’re at. We recognize that that needs to occur through incentive. A man convinced against his will is of the same opinion still. You can’t go and convince someone to go and recycle, you can’t convince them to go pick it up for the goodness of society. [00:10:30] It’s about creating an incentive for them as they see themselves. What do they need? Tuition. What do they need? Food. What do they need? Medicine. The basic pyramid. You can’t transcend the hierarchy of needs when you live there. You’ll always be a burden, always serving self in that basic pyramid. When we take a bottle and provide an opportunity for someone to go to school with it – we use the examples in Haiti where education’s $20 a month, it’s all use as you pay there, [00:11:00] no government education. $20 a month. Well, 200,000 school aged children today currently can’t go to school that want to school. Meaning that a 9 million, 10-million-person population will really never be able to end poverty. 200,000 children. Last year and the year before, next year, will continue to perpetuate sheer illiteracy, sheer poverty never ends there. $20 a month now provides an opportunity for children to go to school. When a family looks at that plastic, it’s not the $20 a month that it’s replacing. When they look at the bottle now [00:11:30] it’s not $20, it’s not even education, when they look at the bottle it’s the end of poverty. What’s the long-term benefit of ending poverty in the generation of a family? It’s not $20 a month now and it’s definitely not a bottle anymore. What it’s definitely not, Euvie, is waste. That is hope, that is change, that is prosperity, that is my social security as a parent, that is everything to put my child in school. That’s a paradigm shift. Mike: It’s so interesting how you’ve been able to find the incentives to… [00:12:00] Without waste you actually are returning something back to people in the planet. I’m wondering what other parallels you see. You’ve obviously made a very clean switch in this mindset to thinking about profit in a different way and incentivization in a different way. What other parallels of big problems in the world do you see there being opportunities or other companies that are already doing something about it? David: Within the plastic space and within the Plastic Bank, we resonate on the name, where we are moving towards and what we are working to provide is the authentication of self-financial inclusion. [00:12:30] Let’s take a look inside of financial inclusion. What we’re providing is credit rating. With the consistency of return, with the quality of the product that you return back to our centre, when you return it to a high-quality state, when you’ve brought in other collectors, taking in the amount of units, amount of work and micro-finance and part of the height of success in repayment rates comes from having mastermind groups. When someone receives a small micro-loan, they have three or four other people that vouch for them. When we take [00:13:00] high-quality return rate, when we take a collector that’s returning material consistently of high-quality, bringing in other collectors into the play as well that also vouch that also have a high success and return rate with consistency, certainly we can provide a credit worthiness. I think more importantly inside that, we can also provide a debt service ratio because we know how much they make. We now have the ability to give access into an earnings which is not possible with the poor. We gave an earnings [00:13:30] plus a credit worthiness. We can create true financial inclusion and removing the 30, 34 percent interest rates that the poor are inflicted with in the African continent. 34 percent, somewhere between 29 and 34 percent is the average interest rate to the poorest of the poor in the world. That has to change, think of that. Now, we can provide low-interest rates. Where I want to go with that ultimately is to be a mortgage holder for the poor and to give them access to own land and have interest [00:14:00] at low appropriate interest rates for the poor, give them access into earnings, savings, home ownership and everything else that’s required. From that, as well, we certainly need to be within underwriting our own insurance. We’ve found micro-insurers around the world that for 80 cents a month we can give you critical illness insurance. 80 cents a month. The power there lies in the family, in the mother of the home. If he husband is out predominantly doing high-risk work without safety equipment, without anything, [00:14:30] without shoes. Imagine being in America and putting people in a construction site in flip flops. That occurs, it’s most of the world. What happens when you are injured and your family relies on your sense of income? You’re a destitute today. That’s what would happen around the world. Now, with critical illness insurance it allows the mother of the home to go out and collect in the couple of hours the amount of value needed to pay for the insurance, so if something happens to the husband, they’re still insured and they still have food [00:15:00] on the table and can still pay their rent. We give access to self-sufficiency where it didn’t exist before. What other model lies within financial inclusion? We have to consider, as well, that one out of every three children born today will still never have a birth certificate and most banks, most institutions, how will they ever be able to loan you money within their realms? With us, it’s all based on the amount that you collect. We just give you an opportunity to prove it. Go prove it, go collect. Now, [00:15:30] not only are you collecting, not only are you bringing in and creating an income for yourself and allowing yourself this level of hope to be able to transcend some of the challenges you encounter, but long-term we even give you further long-term hope that you get a credit rating, that you might have an opportunity now to own a home, things that were not [inaudible [0:15:46] before. What we need to line in the consideration of that is that long-term or long-time perspective is as well paid beautiful, immediate access to the alleviation of poverty. When you live in poverty, [00:16:00] you’re only thinking of the next minute, next 10 minutes, next hour. When we can look at success and we can take a reference. Look at drug addicts and alcoholics. Their time perspective is immediate, it’s the next hour, it’s the next hit, it’s the next drink. Immediate time perspective. Look at the Gates’ of the world, look at the [inaudible [0:16:16] of the world – their time perspective is decades. That time perspective is a critical element that predicts success. When we can take the abject poor and now give them time perspective that might be 5 years, 10 years down the road or land ownership [00:16:30] that can look at 20 years down the road. That’s a profound societal shift. That’s what we’re doing. Mike: That time perspective thing is quite interesting, too. When you think about the big successful people who think in those decades terms. I’ve often – this is a total side note and side track – I’ve often thought about giant constructions like cathedrals or the pyramids, that kind of thing. What people had, the timeframes they had to think about to even construct those things. We never attempt anything like that in the modern age. [00:17:00] Nothing longer than a year for most people. Euvie: At least in the western world. David; Yeah, for sure. Look at what is occurring. Look at the degradation that is occurring in the society in the individuals. Look at sugar, look at everything else that’s occurring. Time perspective has shifted. As result of short-time perspective, immediacy, immediate gratification. It’s not hard to have some insight into what is occurring with it. It all becomes self in that moment, right? No [00:17:30] time perspective, it’s all egoistic attachment, “I want to immediately feel like I’m not bad. I immediately want to feel like I’m good.” That’s what’s occurring. Euvie: of course, there’s all this other stuff that is built on top of that, because when people are in that second away from panic state, then you can manipulate them very easily. Of course, political parties, gangs, and all these different formal and informal institutions – churches in the third world and in the first world – [00:18:00] just prey on those instincts. If you can get people out of that state, you make them more sovereign on many levels. David: And it’s possible to. Our application really is product agnostic or material agnostic. Currently, the Plastic Bank and the immediate need for the planet is to ensure that we monetize waste to such an extent that it is really viewed as [inaudible [0:18:23] diamonds or oceans of diamonds in this case, being able to provide an incentive for the plastics [00:18:30] that never enter the ocean to begin with, which is the most important element. That’s really what we need to do is turn off the tap is most important. Too many people talk about cleaning the ocean, which is ridiculous, ridiculous. I use it in my speeches that if you’re walking into the kitchen and the sink is overflowing and you have a bucket, a mop, and a plunger. In a moment of panic, you’ve got to choose. Post people forget that they need to turn the tap off. That’s what we need to be doing as a society, as a humanity. Turn the tap off, stop the flow of plastic from entering the ocean to begin with. [00:19:00] Then we can go and tackle the ocean. Let’s go turn off the tap, [inaudible [0:19:04] the flow of plastic, this is one of those ways to do that. Euvie: How are you guys doing that? David: We do that by providing an incentive for the poor that lets them realize the value of the material, because no one ever throws away cash, especially the poor. If every bottle that you saw in Bulgaria, in the streets of Bulgaria or anywhere that you went in the world – forgive the currency – if every bottle was five euro, five dollar, five pounds, how many would you see in the environment? [00:19:30] Would you see any in the ditch at five pounds? No, you wouldn’t. You’d go, “Hey, that’s five pounds, I’m going to go get that.” There’s a couple there. It’s 20, it’s 30, it’s whatever. None, of course not. It’s not the bottle, it’s us. It goes to prove that it’s us, it’s our perspective on it, it’s the story that we’ve placed on that material. I would then really be able to argue an unconscious story that we’ve been provided and we’re acting unconsciously. We provide a consciousness, we provide an opportunity for people to be in [00:20:00] service of self and be present in the collection of the material. They can see that it’s of high value and it stays in a state that’s high value. If it’s high value, it’s never going to enter the ocean. They won’t throw it away. How many places have I mean where they just take all the material and they just dump it in the river. “There’s a river flowing by, I’ll just dump it on the side and eventually the tide will come in or the river will run to such a level, it’ll take it away.” That’s the only opportunity for most. That or burn it and then you live within all of the disease and everything that occurs from it. Mike: Yeah, in all of our travels in the last few years, that’s one of the most [00:20:30] notable things in certain locations you go to, in Thailand, in Bali, is the disgusting beaches because they’re just so covered in plastic. There’s a plastic time of the month where the tides are especially bringing them in. Euvie: It’s gotten really, really bad in the last couple of years. In western countries, at least they have some sort of systems for dealing with it, but in places like Indonesia they just don’t. It’s really noticeably bad. David: There’s just on opportunity [00:21:00] when population lives in abject poverty or the government can’t authentically afford medical care or food stuffs. What do you do? Then the challenges with Indonesia, somewhat up to 20,000 islands. No garbage truck drives by. That doesn’t occur. Then the world is continuing to rush to try to provide items for the poor, multi-layer sachet, small individual portions, things like that. All of it coming out in plastic. Yeah, there’s no waste service structure, the brands don’t take responsibility [00:21:30] for that. They were really just focused on messaging. They’re really just focused on shareholder value, which is really what’s gotten us to where we are. Shareholder value, individual value, value for myself over others, value for myself over the world. They’re not in business for planet value, that’s evident. Just go to the beach. That is evident. Individual value, shareholder value is why we are where we are today. We’re having a conversation about this because the insular concepts of shareholder value. Euvie: [00:22:00] In western countries, at least there’s some sort of media pressure and social pressure for these companies to at least appear eco-friendly, so they appear that way in the west but a lot of their production facilities are not in the west – they don’t have to do anything decent over there. David: It’s beginning, there is a change in the tide and consumers are starting to understand that they have a voice and they’ve got a greater voice today than they ever have. Brands are listening. They’re listening really in the same regard – [00:22:30] shareholder value. The brands are trying to provide what the customers want because if they don’t they’re going to lose sales. The conversation here with anyone that may be listening is to recognize that they’re immensely powerful, especially in this digital age, we’re the most powerful consumer generation in history. We actually have voice, they listen to use, there are teams of people listening for conversation around the brands. If you were truly passionate or know that you can make a difference or the difference needs to be made, you need to speak up and communicate with the brands that they should be using materials [00:23:00] that have profound social and societal change, that you don’t want to buy anything that doesn’t have value for the planet. If you have an opportunity to buy something that can provide value to the planet, make societal change, end poverty, clean the ocean, or you can buy something that degrades the planet, demand that corporations use material and product and distribution that provide value for everyone. Mike: One of the things we like to do with Future Thinkers is to try and highlight people who are doing incredible [00:23:30] things, talk about what they’re doing, get exposure for that, but also try and figure out what makes them different and what, if any, key points in their lives made them switch the way they think to start thinking differently and then put them on the path to start taking action. Is there any event in your life that made you really start changing the way you thought? David: It is a very common question for us. I’m going to give you two answers. 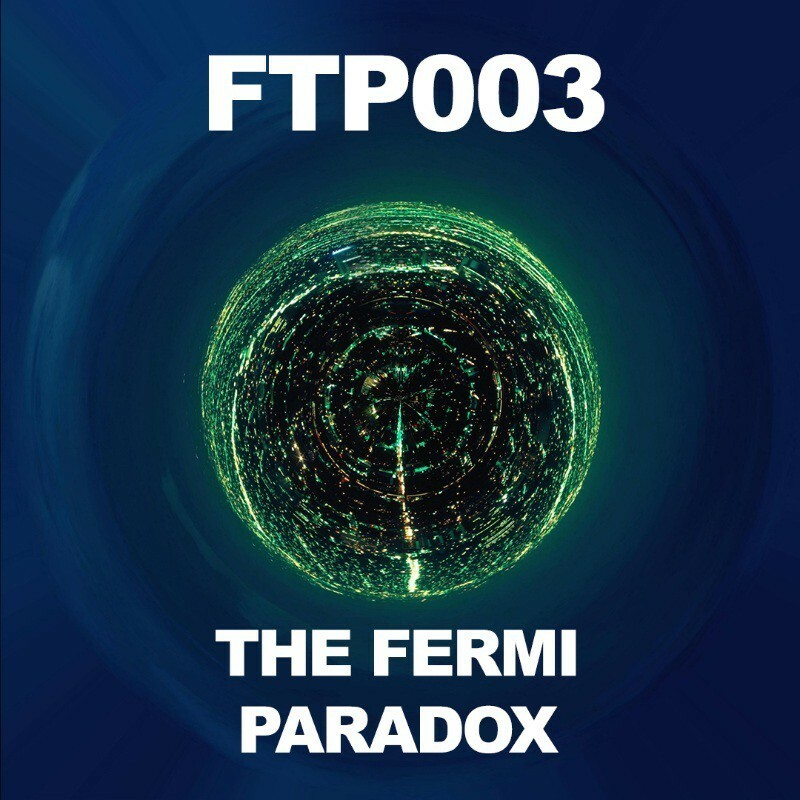 I’m going to give you the first, the authentic answer, the appropriate answer is that we are the summation [00:24:00] and accumulation of all the experiences and all the decisions that we’ve ever made in our lives. The answer truly, the authentic answer is no. I am where I am today and you are where you are today because of all the experiences and everything that you’ve ever done. No, there wasn’t. There might have been something that set you on a different path more profoundly that you paid attention to, but they were all important and all of mine were important. The dysfunction of my childhood, the violence that I experienced in my childhood, my origin of memories where my father was beating my [00:24:30] mother, I’m here because of that as well. I’m all of that. Everything was a gift in my life. That’s a whole different conversation. Profoundly, I was at sea with my father, my father built a 15-metre sailboat by himself [inaudible [0:24:44]. He sailed the west-coast of North America, I met him, we sailed together. On the way back up out of San Francisco, we were sailing back towards Victoria, which is on an island outside of Vancouver, nodical miles away from shore. Offshore sailing in a 60 naught wind and a 20-foot wave. [00:25:00] On our third dawn, my father had a heart attack in this storm, giving me his last testament and jewellery and words for my mother. She thought that he was dying and I had to call a mayday to the US coast guard. Took command of the vessel and sailed us back to shore, continue communicating with the coast guard, looking for that help and trying to be cause of my own matter. What I learned in those moments was not just the beauty and majesty [00:25:30] and the raw power of the sea and the ocean, but that if it was to be it was up to me. In that moment, I learned that I was infinitely powerful and responsible and was able to be in charge of my own destiny and creation. That was one of those quintessential moments, one of these origins of beings where I learned that I could take care of things. That was one, for sure. That time at the ocean, our family home was at the beach. I was able to continue [00:26:00] to witness the degradation of the ocean early on. I’ve been in this space for decades, I’ve been aware of what’s been occurring for decades where many are just becoming awakened to it today. As well, I’ve had that lifetime moment to see what’s occurring, as well in my entrepreneurial life I’ve been able to be focused on the knowing that we see what we think about. I take people through an experience and I have them look around for a colour, I have them look intently knowing that they should close their eyes [00:26:30] and be able to appoint that colour. But when I ask them to close their eyes, I change the colour they should look for and, in that moment, they recognize that what they think about is what they see, they have no ability to see any other colour because they’ve been so focused on the one I asked them for. I’ve directed my life into seeing and looking for those things that I want to occur, not what I don’t want to occur. Even in the story of the environmental degradation and what is occurring in the oceans today, people are focused on the problem. We need to be in this experience of being focused on the solutions, [00:27:00] not the problem. All these conferences about what’s occurring in the oceans, “Look what’s happening in the ocean, look at the degradation, look what’s happening. Look, here’s another study of how many more animals have died. Here’s another thing about ocean acidification. Here’s one more about wow, overwhelming problems everywhere, oh my goodness.” We’re only seeing problems. Now, we’re in this place where we truly need to be in a place where we’re looking for solutions. It’s a combination of all those things, there isn’t any one moment. I don’t think anyone else can tell you that there was one moment because that one moment [00:27:30] only appeared as a summation of all the other moments they had in their life, which they didn’t pay attention to. There isn’t. Everything is a gift inside of it. There is no one moment, everything is a gift and the moment that you sit back and go, “Wow, wow, my entire life was a gift, everything inside of it was a gift, everything in life points me to the unlimited creation of life,” then you’re open to see the solutions of life. When you sit back and are focused on the problems of life, of course you’ll never see solutions. Euvie: If you see yourself as a creator, [00:28:00] then why would you be creating more misery or more problems? David: That’s all we are is a creator. We are the creator. I’m a part of creation, I am a creator. I’m a part of the creation. Whatever that creator is for you; something was created, I’ve been created, so I am a part of the creator, I am the creator. I create. That’s what we all are, we are creators. We’re the creator having a human experience. Mike: It really makes sense when certain cultural phenomenon really take hold, say [00:28:30] for example, the social justice warrior movement in the United States and UK, certain places where poverty is quite high. I always refer to it as reality is thick is here, there’s a common belief system, a lot of people believe this, and reality is thick, it’s like sludge moving through it. People aren’t free in the way they think. To me, it makes sense why certain places you go, the problems are a lot worse and the fear is a lot higher in that sort of stuff, because people are taking on these victim roles, [00:29:00] especially the social justice warrior thing, it’s all about victimhood, identifying as the victim. David: I’m going to tell you about something that’s probably – I say this understanding that there’s tremendous challenges for women in the world. I can understand this controversy that Tony Robbins encountered recently with his expression that the Me Too movement was diminishing for women and he ultimately received a lot of negativity with that. I understand his expression was that women became identified with victimhood [00:29:30] or victimization. The Me Too movement reality gave it form, so it drove these legions of women to be in a position that they are victims. I get it, as opposed to living in the unlimited power, I get what’s happening, we understand that that can occur. But to stay in that ego mind that helps, that continues to establish and substantiate our position in to the identity of something at one fixed point in the past is not the unlimited power that women have. We need to be in a position to unleash that power [00:30:00] and they can be in the solution and creation of some new reality. Mike: That’s so perfectly said. Euvie: I agree. It’s not denying the experience, the experience might have been horrible but it doesn’t mean that you don’t have a life after that. You have a life, you go out, you do things. In some cases, a traumatic experience can actually give people a new fuel for the future, new hope. Victor Frankl’s book was an amazing example of that. A Man’s Search for Meaning, surviving the concentration camps for years [00:30:30] and then how he came out of that and rebuilt himself and was able to build a life and a family and everything. David: You know I think, Euvie, even in that conversation, it wasn’t what occurred after that was so relevant in Victor Frankl’s work, it was the way he chose to see the present in it, it’s what was occurring in the consciousness that he and the work here really is that in that space between condition and response is our life. We choose in that moment – perhaps the theme of this conversation that we began, [00:31:00] what was the moment, there wasn’t there was a successive realization of this and that every moment that I approach in life I got to make a decision on how it appeared to me. That is exactly the work of Victor Frankl and the concentration camp, he got to appear it as something that set him free that was beautiful and everything else, where the people who died had no hope. They decided in the future, somehow that wasn’t going to appear and they resigned themselves to dying. What extended his life in those years in the concentration camp was the immediate decision in between the condition that he was in and how would he respond to it. 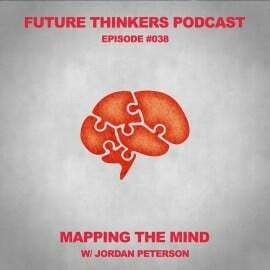 [00:31:30] He made the decision that I think the point of this conversation here as well is this victimhood is that people are deciding to identify with a victim, and that comes as well from media and other things and there’s a lot of egoistic decision in all of that. That’s a whole different conversation. David: Amen. I think that’s very important and well said. Mike: Yeah, that’s interesting though, because things have a tendency of moving in whatever direction you are focused in. It’s not like you’re protecting yourself and sticking the border there; if you’re moving it back, [00:33:30] it’s continuing to move back until you resist and push it forward. Euvie: It will advance on you. Mike: It doesn’t stay still anywhere. Euvie: Yeah, the chaos will advance on your little bubble. Mike: Yeah, exactly. Exactly, you will see your sovereignty disappear even more. Euvie: Interesting, to tie this back into where we started even earlier about giving people the sovereignty to go out and do something with the resources that they have, as small as they might be. Go find this plastic, do something with it, then [00:34:00] in a small way that is empowering because you feel, “There are actually opportunities out there.” It’s a mental trigger that gets you into the mindset of, “Oh, opportunities,” and then you find more opportunities and more opportunities. It cascades. Mike: This makes me curious about how young people in the west respond to Plastic Bank and to what you’re doing. Are they as excited about this as they are in third world countries? They’re excited about the opportunity that there lies a solution, I think everyone is in this fear currently and [00:34:30] I think it’s part of the reason why the ocean clean-up project is getting as much attention as it is, although ridiculous in nature. I wish it well and I hope that sending out this big boom in the ocean can have any significance. I think that that’s nice, it’s well meaning. It brings attention but I think that the world is looking at it because they want an easy solution, they want someone else to come in and fix it. David: I think we are still suffering from the [00:35:00] conversation we just had. David: “Come and save me, someone else do something about it.” That’s not necessarily 100 percent true, we find people to be in action and participation. We have a flood of people that are looking to participate, to be a part of this movement, the social plastic revolution we are igniting in the ecosystem that is bringing humanity together to be in the action of localized solution that has global impact. That really is that Plastic Bank [00:35:30] is we are really an expressive conduit for change, an opportunity for the entire world to participate in. We are an ecosystem, we are not a solution, we are not any one thing. Inside of everything, everything lies inside of this. I [inaudible [0:35:45] story that a young woman on the [inaudible [0:35:47] coast that might have a computing scientist scholarship has the ability in our platform to create a plugin that allows her mother, who sells vegetables on the side of the road, a point of sales system that, with her [00:36:00] smart phone – because she already has a scale – with her smart phone can accept the value of social plastic as a form of payment. Now, with a point of sale system that her daughter created that plugs into our ecosystem allows her mother to be able to serve more people and have her own social impact. We haven’t encountered areas around the world where the poor themselves are not disgusted by where they live but they just resign themselves to the condition. They don’t like it but they resign themselves. Now, we have an opportunity [00:36:30] for the entire world to be in a solution together. The mother has the ability to sell more customers, serve more people, and she gets to have her own social, societal, and environmental impact. The daughter, as well, participated by creating a plugin that not just her mother gets to use but now it becomes an open platform for the entire world. Any vegetable seller in the world can use this plugin. Every vegetable seller in the world gets to participate in the change of the environment in their community. Or perhaps someone creates something for taxis, or perhaps it’s going to be [00:37:00] bike share for the poor or other things. That further expression, we’ve encountered a solar lamp powerful for the world [inaudible [0:37:08]. There’s many, the uniqueness in this one [inaudible [0:37:10] that allows for two-way communication with the phone, not only does it charge the phone but it allows for the value to be transferred into the light. Now, as a social plastic collector, you have a value in your bank account, you attack your phone to the light and, instead of me selling you the lamp, I sell you the light. Now, you can do it by micro-transaction, [00:37:30] you can transfer value from your bank account into the light. You turn on the light when you need it. You’re only paying for the things you need, which is what the poor need. More powerfully, one of our interactions with brands in the north is that when you return a bottle in the north you have the ability, through a social activation or a brand activation, when you recycle one of the products you’ve bought in the north, when you return that, value will be transferred to a lamp around the world. Buy a bottle of [00:38:00] shampoo in Germany and when you recycle that, value will be given to the poor in the form of light. You have safe, authentic transfer of value globally. It’s a conduit that allows everyone to participate in change. Those are just some of the examples. Euvie: If you have APIs that can use existing apps and existing systems, it can just plugin. David: I hesitate to use open source but it’s an open platform, it allows – through an API – everyone in the world an opportunity to participate in the value that is created [00:38:30] through recycling, through stewardship. In that essence, let’s say you’ve got something, let’s say you’re a taxi share. If you get a slight discount, if you give a 10 percent discount in your service to people who have collected social plastic, what it actually does is it provides a price increase for the value that was collected, for the plastic that was collected. It provides further incentive for the poor, because the money inside of the system goes further. That’s one way to also increase the price of the material that allows the entire world to [00:39:00] contribute. Through gamification, incentivisation that traditional way. I communicate that we continue to want to be the Candy Crush of recycling. David: Within all of that, imagine you’re a collector in Nairobi and you just collected your first 1,000 kilos of material. On your app, all of a sudden, you’re getting words of encouragement from around the world, because the world recognizes that you just reached a milestone. You are the absolute abject illiterate [00:39:30] and poor before, feeling absolutely unseen, now people from around the world are sending you love. That on its own can be a profound shift, to give you a greater world perspective. You’re taking people who have never left a village before. David: And connecting them to the world. We’re taking the world and having them connect to a village. Mike: I’ve been thinking about this gamification element quite a bit. We just had a recent sponsor from a blockchain gaming company and they’re tokenizing basically gaming assets, [00:40:00] skins and that kind of stuff. I thought the whole concept of that was quite interesting, because there’s perceived value in these skins and these digital assets. When it comes to incentivizing people through gamification, is that an element that you were thinking about, which is releasing limited content and limited badges, that kind of thing. Euvie: Leaders boards, some sort of recognition, reputation points. David: Absolutely. It all has to exist in there, just the human dynamic, what’s the incentive for the poor especially? [00:40:30] Then it should be levelling up, as well, it should be also tied into a financial performance. Now, you’ve brought in three collectors, okay that takes you to a different price point for the material received. Or, let’s say the special incentives, those people who’ve brought in three other collectors into the ecosystem, they’re the ones that get to participate in a higher price. All of that dynamic, that has to be built out, that’s part of the roadmap. There’s just so much to do. Set aside, we’re not just building an application, we’re also influencing the poor. We’re on the ground, we’re multinational now, [00:41:00] we’re also a sales organization working with the world’s largest organization. We’ve got to be a sales organization, we’re doing logistics, we’re on the ground, we’re working with the abject illiterate or in areas of danger. There’s just so much we need, which is where I get back to being a conduit, which is an invitation for everyone to participate. Even anyone listening here, if they think that they can participate somehow, if they’ve got a special uniqueness, a skill of some sort, I invite you to reach out to us. There may be a very real way for you to participate and we are always looking for [00:41:30] remarkable people, always. If there’s something that you can contribute, some way you want to be a part of this, then reach out to us. That’s easy, plasticbank.org and participate, absolutely. Euvie: What kind of partnership are you guys looking for right now specifically? David: What are we looking for? We’ll never end. The purpose of any business is to find customers and keep them – we’re a for profit solution. Certainly, we continue to be a sales organization that continues to influence global brands to participate in a brand activation opportunity that helps end poverty and [00:42:00] prevent the ocean from needing to be cleaned. That’s very, very important for us. Then on the technology side, we continue to build out these banking applications. People within banking and certainly within incentivisation and gaming, those are all very important for us. It doesn’t end. I only know today what I already know, I don’t know what I don’t know. There may be other parts of this. The creativity of this, the people who are listening to this, I just assume that your audience is more creative than most. If they align with us, they have an idea [00:42:30] of, “What about this? What about that?” Then I invite anyone to participate and reach out and give us ideas, as well. Those are all very, very important. One thing I am looking for is that I am looking to create a sub four-dollar digital Bluetooth scale, hanging scale that will interact with our app like Square but for social plastic. It’s a hanging scale that anyone can have access to. You just weigh the material and by mass it automatically reveals the [00:43:00] value on the app. It becomes two-way authenticated quickly, each participant agrees to the weight and the value of it. I need a Bluetooth scale. Mike: Interesting. Is there anything else you wanted to talk about before we end the show? David: I can end it without reminding everyone here that whatever you buy is what the world is going to produce. They listen all the time. If you continue to buy single-use material and you continue to disregard what is occurring today, then that’s what they’re going to produce. But if [00:43:30] you are a voice in that, if you are a cause in the matter, when you show up and express that the world needs to be producing and presenting items that are good for the world and have a holistic approach, then that’s what they’ll provide as well. It’s business for them, too. They will sell what you ask for. If you are asking for excessive packaging, single-use material, degradation of the environment, that’s what they’re going to do. Show up, be a cause in the matter, be the powerful unlimited soul that you are, be the creator in the change. Euvie: Yeah. That’s a perfect way to end this, awesome. Mike: Yeah. David, thanks for joining us, this has been a lot of fun. David: Thank you very much. Thank you very much guys, I appreciate it very much. You also are now cause in the matter, thank you. 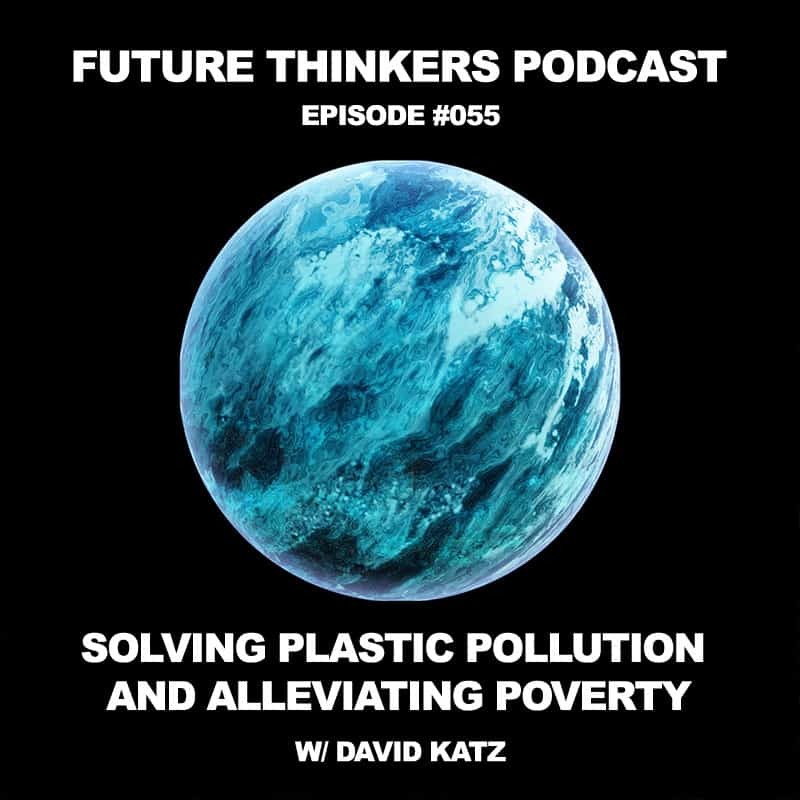 Today on the show we have David Katz, the founder and CEO of The Plastic Bank, the only organization in the world that has successfully monetized plastic waste. His humanitarian work has earned him great international recognition. 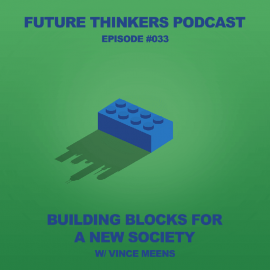 In this interview, we talk about turning plastic waste into a currency, alleviating poverty, what it means to have self-sovereignty, and being the creator of your life. David Katz is the visionary behind The Plastic Bank, an eco-system that reveals value in plastic waste. One part of this ecosystem is a store chain in the poorest parts of the world that accepts plastic waste as a currency. At these stores, people are able to exchange plastic they collect for an expanding list of goods and services, like cooking fuel, medicine, school tuition, and WI-FI. The very presence of The Plastic Bank gives a new sense of value to the material, as it provides an opportunity for it to be saved, banked and used. The Plastic Bank provides incentives for the poor to collect and trade in plastic, turning it from waste into value. In this way, the organization aims to stop the flow of plastic into the ocean and turn it into a tool for alleviating poverty. In partnership with IBM, they have created a blockchain-based banking application that allows for safe authentic transfer of value globally. They plan to become the “Candy Crush of recycling” by incentivizing people further through gamification. Plastic Bank is working to provide financial inclusion for the poor by giving them earning potential and credit-worthiness, without high interest rates they are inflicted with. Some of the ways to build credit worthiness is to increase the return rate, be consistent with the quality of the plastic they bring in, or to engage more people into the system. As David explains, the Plastic Bank gives people self-sufficiency, but more importantly it provides a shift in time perspective. 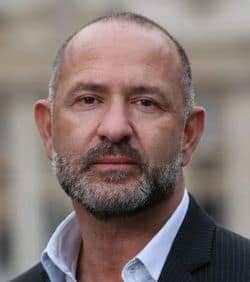 As opposed to the immediate time perspective that is a common aspect of poverty, he hopes that Plastic Bank will help people have a more long-term perspective, which is a critical element for success. David argues that the digital age has created the most powerful consumer generation in history. Consumers should use the power of their voice to force brands to use materials and practices that are sustainable for the planet. Instead of focusing on the problems, we should be focusing on solutions, and move from being victims towards becoming creators. What are the technological advancements in recycling plastic?